Eduard grabbed their magic wand and, in a limited edition, offers us an enhanced Hasegawa Saab Draken, with new resins and photoetched parts manufactured by them. 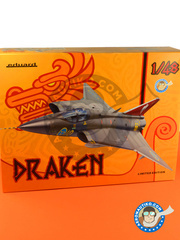 Your Draken is waiting breathing fire at Aeronautiko hangars. 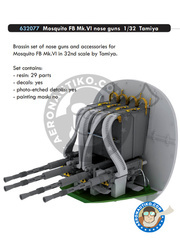 This limited edition kit includes the plastic parts of the Hasegawa kit, together with resin and photo-etched parts designed by Eduard. 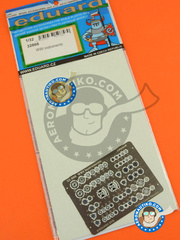 It also includes full-color photo-etched parts, masks, resins parts for seat and wheels, and decals printed by Cartograf for recreating four different decorations. 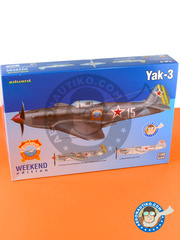 Weekend edition of Yakovlev Yak-3 in 1/48 scale. 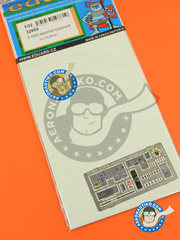 Eduard box includes decals for two different decorations, and three sprues with plastic parts to get you flying high! 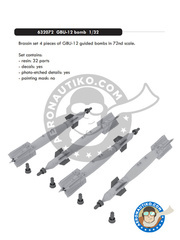 Resin, decals and photoetched parts set from the Eduard "Brassin" series, including two sets of AS.34 Kormoran missiles, featuring a total of 22 resin parts. 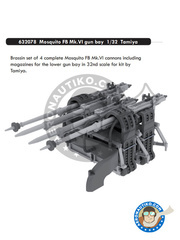 Brassin by Eduard for Mikoyan-Gurevich MiG-23 Flogger BN, including front landing gear, rear landing gear, and bay doors. 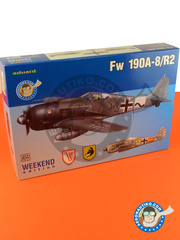 Eduard "Weekend Edition" series scale model, featuring three plastic sprues and one decal sheet with two decorations of the Fw 190 A-8 / R2. 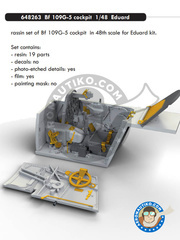 Set by Eduard of two photoetched parts sheets for MiG-23 cockpit, one of them in full color. Absolutely essential!! 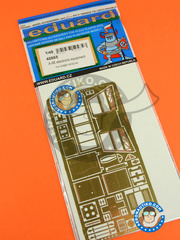 Photoetched parts for detailing and enhancing all electronic equipment on the F-104. One of them also comes preprinted in full color. 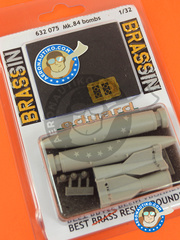 Brassin including 7 resin parts, photoetched parts and decals for building a Sniper ATP in 1/48 scale. 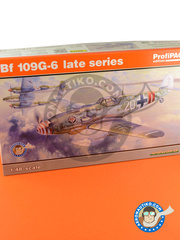 Pack by Eduard to be used on the Bf 109 G-6, including the whole cockpit made in resin, seatbelt fabrics, colored photoetched parts for the cockpit, and photoetched parts for the outer parts of the plane. 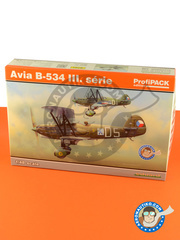 Includes references 49093, 48885 and 648240. 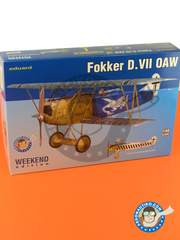 Weekend edition of the Fokker D. VII just like it was manufactured by OAW, including decals for recreating two different decorations. 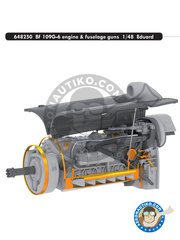 Brassin including the engine and machine guns for improving Eduard Bf 109. They are really impressive. 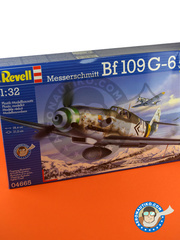 Enhacement set for Messerschmitt Bf 109 G-5 cockpit. 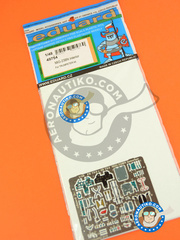 Includes 19 resin parts, photoetched parts and clear acetate. 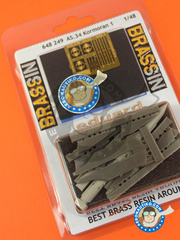 Set of resin parts, photoetched parts and decals from Eduard Brassin set series, designed for replacing the front weapons of your Tamiya Mosquito. 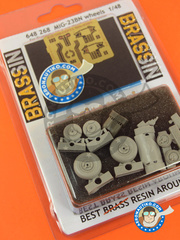 Includes a grand total of 29 resin parts. Can you refrain? 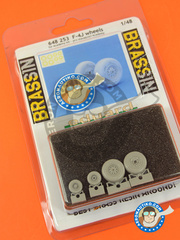 Set of rims and tyres for P-39 landing gear. 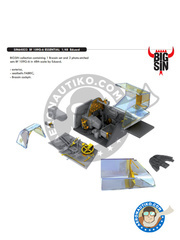 Including resin parts, masks and photoetched parts. Set of two Mk. 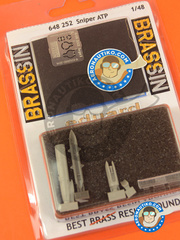 84 bombs in 1/32 made in top quality resin, also featuring decals and photoetched parts. 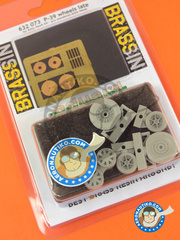 Set of photoetched parts for improving the looks of the electronic equipment on Hobby Boss kit.